This Dog Refuses To Eat a Treat From One Human Only. The Reason? Hilarious! We all think our dogs are really smart…that they understand so much more than people realize. We often ponder about what they are actually thinking, and wish they could just tell us. We absolutely KNOW that they understand much more than the tricks we teach them and the commands we reinforce. The dog you are about to view in the video below proves the point. He loves his treats, just like all dogs do…even the picky eaters. His owner keeps offering him treats that he says is from grandma, grandpa etc., as he holds out the treat for his lovable pooch. This pup goes for each treat offered in the name of someone in his world, except for one! 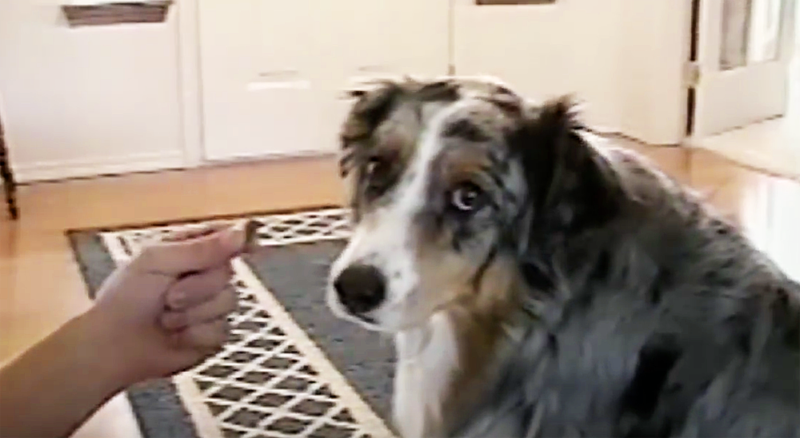 The look in his eyes says it all…”I’m no patsy fella…not taking any treats from that guy!” Enjoy this adorable video that quite simply proves that some dogs are brilliant!